Now that the holiday break has come and gone, it’s time to get back into some hockey. Let’s take a gander at all the tilts the NHL has crammed into four days this week. Rivalries on tap this week included Detroit at Pittsburgh, Calgary at Winnipeg, Minnesota at Chicago and Anaheim at San Jose on Thursday; Boston at Buffalo and Vancouver at Calgary today and Vegas at Arizona tomorrow. We also got the pleasure of taking in a few playoff rematches from this spring, including the previously mentioned Anaheim at San Jose tilt Thursday night, as well as Minnesota at Winnipeg and Vegas at Los Angeles on this evening. Finally, a few tilts involved players making homecoming trips to former longtime homes. Now a member of the Sabres after an offseason trade, F Vladimir Sobotka made his first trip back to St. Louis on Thursday, while F Leo Komarov returned to Toronto – his former home of five seasons – today. Of all of those, the showdown I’m most interested in is taking place in the Queen City. The Bruins are the healthiest they’ve been all season, while the Sabres are looking to once again regain the form that earned them a 10-game winning streak through much of November. 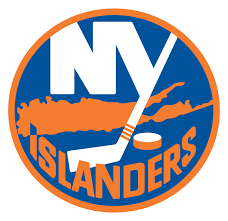 Though the 20-14-4 Boston Bruins can currently lay claim to the Eastern Conference’s final playoff spot, they are far from comfortable or safe in that position considering the New York Islanders are only two points behind them in the standings with two games in hand. However, playing in the Bruins’ favor is their previously mentioned return to good health. With the exception of D Urho Vaakanainen, Boston’s 2017 first-round pick who has a whopping two NHL appearances to his credit, D Charlie McAvoy and LW Brad Marchand, the Bruins have almost achieved full health once again – albeit with F David Backes taking in tonight’s tilt and the next two as well from the press box after he was suspended for a high hit against New Jersey’s F Blake Coleman on Thursday. Yes, Boston fans, you did the math correctly: Backes will be unavailable for New Year’s Day’s Winter Classic at Notre Dame Stadium, nor the tough matchup with the Flames on Thursday. Of course, there’s always the question of just how much he’ll be missed. He’s been involved in all of the Bruins’ last seven games in which they’ve posted a 3-4-0 record, contributing only four assists and a -5 rating in those outings. Now, it might sound like I’m piling on Backes and implying that he does more harm than good when he’s on the ice. While it would certainly be a stretch to say he’d be the best player in white this evening if he were dressing, there’s no doubting the former captain’s defensive contributions. He’s top eight among Bruins forwards since December 14 in hits per game, blocks per game and takeaways (for those wondering, the forwards leading those stats in that time frame are F Noel Acciari [3.8 hits per game], F Jakob Forsbacka Karlsson [1.3 blocks per game] and Marchand [eight takeaways]). Instead, what has been letting Boston down during its last seven games is clearly some sub-par goaltending. Despite a defense that has yielded only 28.86 shots against in its last seven showings (a mark that’s sixth-best in the NHL in that time), neither 12-6-2 G Jaroslav Halak nor 8-8-2 G Tuukka Rask – tonight’s starter – has looked all that impressive. It goes without saying that Rask is having the worst season of his career this year. His .911 season save percentage and 2.72 GAA are both on pace to be the worst marks of his professional career (barring, of course, his four-game 2007-08 campaign). Making matters even more dreadful for the Bruins’ faithful, Rask’s last two starts have been even more alarming, as he boasts only an .873 save percentage and 4.15 GAA in those outings. It probably goes without saying, but he lost both of those games (4-2 against Buffalo and 5-3 at Carolina). With a 21-12-5 record, the Buffalo Sabres have settled into third place in the Atlantic Division, though just like Boston, there’s not many points separating them from teams trying to chase them down. Montréal trails the Sabres by only two points, while the Bruins could pull within a point of Buffalo with a win tonight. Much of the reason the Sabres are starting to fall back to Earth is their playing .500 hockey of late. Over Buffalo’s last eight games, it has managed only a 4-3-1 record, losing ground on the Maple Leafs in the division standings during Toronto’s five-game winning streak. If anyone is to blame for Buffalo’s inconsistencies of late, it’s certainly not 8-1-3 G Linus Ullmark. He’s managed a solid .922 save percentage and 2.71 GAA for the entire season, but he’s been even better in his last three starts, winning all three and posting an impressive .953 save percentage and 1.65 GAA. Making those numbers even more impressive, he hasn’t had the luxury of playing behind one of the league’s best defenses. In fact, it’s been quite the opposite. In the Sabres’ last eight games, they’ve allowed 32.75 shots against per game, the 10th-worst mark in the NHL since December 11. It is unclear if Ullmark or 13-11-2 G Carter Hutton will be in net tonight, but I would argue that it is this decision that will ultimately determine the outcome of this tilt. Just like Rask, Hutton has not looked particularly good lately, as he has earned only three points in his last five starts due to an average .91 save percentage and 2.78 GAA in those showings (compared to his .916 save percentage and 2.64 GAA for the season). Should Hutton get the start, I am confident the Bruins’ offense, which has averaged 3.29 goals per game in their past eight showings, should be strong enough to earn the road victory. However, if Head Coach Phil Housley gives the nod to Ullmark, he has proven to me that he is more than able to lead the Sabres to two points. In the midst of a Minnesota snowstorm, the hometown crowd watched their hopes all but buried as the Wild were simply unable to overcome their laundry list of injuries and a suffocating Winnipeg defense. Already without Ryan Suter, the Wild took another hammering blow late in Game 3 when Zach Parise got sandwiched by Mark Scheifele and Ben Chiarot and suffered a fractured sternum (side note: ouch) that rules him out of the rest of the playoffs. Parise’s spot in the lineup would be filled by Tyler Ennis, seeing his first NHL playoff action since 2011 when the diminutive forward was a member of the Buffalo Sabres. Winnipeg was not without their own injury problems, losing Tyler Myers after an awkward collision with Marcus Foligno in Game 3. Though not as key an element to his team as Parise is to the Wild, Myers still eats a lot of quality minutes on the Winnipeg blueline. Young Tucker Poolman would taste his first ever playoff action as he filled in for the towering Myers. The game started much the same as it ended…and middle-d…you know what I mean. Tight checking, excellent stick position, and a near-complete lack of offensive chances were a theme in this one. Not to say that there wasn’t action, as from the opening puck drop the two teams continued the series’ main theme: That is, both teams spent every shift actively trying to kill each other. Arguably 2018’s roughest series so far, it isn’t even so much the quantity of hits we’ve seen in this one, but moreso that every hit we do see is thrown with seemingly as much force as it can possibly be delivered with. No great wonder why so many players are nursing injuries. Other than a brief flurry by Winnipeg that Devan Dubnyk answered with three or four quality stops about 8:30 into the frame, the opening 10 minutes had little to speak of in terms of scoring opportunities. Finally it was Minnesota who started to find some traction, first coming from an unlikely source in their fourth line of Foligno – Joel Eriksson Ek – Daniel Winnik, who deployed an effective dump and chase strategy, sending two forecheckers in hard and fast to get the Winnipeg defense in deep, then working the puck free to a second wave usually of the third forward and a pinching defenseman. All Minnesota lines adopted the strategy for a solid few minutes in the late first, and all had decent chances, including Nino Niederreiter feeding Eric Staal right in the goal mouth, only to have an excellent backhand chance waffled away by Connor Hellebuyck. Shortly after, Minnesota’s sustained pressure forced the Jets into a penalty, and on the resulting power play Josh Morrissey got away with an egregious cross-check to the face/neck of Staal, who lay on the ice for a few seconds before slowly making his was to the bench all while play continued around him. The Minnesota crowd was…less than pleased. To continue their displeasure, shortly after the penalty concluded, it would be Morrissey starting a breakout to Scheifele, who played a give-and-go with Kyle Connor beautifully, taking Connor’s drop pass in the low slot and ripping a snapshot through traffic and over Dubnyk with just 28 seconds left to play, sending the Minnesota crowd into a symphony of boos so loud I think P.K. Subban actually might have heard them. Minnesota ended the period leading 10-7 in shots, but down on the board. Shot blocking was a major theme of the first period, and the game, really. It also contributed to the growing list of banged up players, as both Mathew Dumba and Dustin Byfuglien left the ice at different points in the first because of shot blocks. The second started with a bang, as on the opening shift the Wild jumped on a turnover by Jacob Trouba and flew up the ice on a three-on-one lead by Mikael Granlund. #64 in green showed Hellebucyk shot all the way, but with just inches to spare sent a pass across the crease to Dumba who looked to have a sure goal, before the glove of Hellebucyk robbed him blind. A few minutes later Jonas Brodin sprung Niederreiter on a breakaway with an unbelievable stretch pass (that frankly I have no idea how Nino even managed to corral on his stick) but just before he could get the shot off a desperate Morrissey poked the puck off of his stick and clear of danger. Dubnyk would see little action of serious consequence in the middle frame, a few whacks at a centered puck in the blue paint by Adam Lowry the only real threat of the second 20 minutes. The Wild did, however, lose Granlund for a few minutes in the middle of the frame, but he would return to finish the game. Also of note was Dumba taking a run at Byfuglien, which worked out about as well as you’d expect. Late in the period Brodin nearly played hero himself, absolutely dancing a Winnipeg defender at the blueline and walking in to label a wrist shot for the high blocker side of Hellebucyk, but the newly-elected Vezina candidate had the answer, as was the case all night. By the end of the second the Wild lead 20-19 on the shot clock, but struggled to find room to construct any serious chances. The Jets took the attack to Minnesota for stretches of the third, attempting to prevent them from even having the chance to tie the game. An early chance by Joe Morrow found a goal post, and later Scheifele found one of his own, which created some chaos around the Wild goal that Dubnyk had to tidy up. Laine then got a breakaway opportunity in the dying minutes of the third that was harassed just enough by Spurgeon to allow Dubnyk to poke the puck away before any harm could come. It took Minnesota until just under two minutes remaining to gain enough solid puck possession to get Dubnyk off, but the extra attacker still couldn’t help them solve the labyrinth that was Winnipeg’s defensive scheme, and Scheifele buried the 2-0 dagger with 10 seconds remaining to seal Minnesota’s fate. Outshot 30-28, the Jets took the first road victory of the series, giving them the chance to win the first playoff series in franchise history in front of what will surely be a raucous Winnipeg Whiteout crowd on Friday night (DTFR coverage brought to you again by yours truly). How Minnesota finds a way to extend this series is beyond me. The injuries to key players just seem to be too much for them to overcome. They’ll need nothing short of a miracle to make it back to Xcel Energy Center for Game 6.